BioOne is a nonprofit publisher that aims to make scientific research more accessible through a growing portfolio of products and services, including its full-text aggregation BioOne Complete. BioOne sees sustainable scholarly publishing as an inherently collaborative enterprise connecting authors, publishers, professional societies, academic institutions, libraries, and research funders in the common goal of maximizing access to critical research. As a leading publisher of scientific research, BioOne develops economic models and strategic partnerships that balance the needs of all stakeholders and increase the accessibility and integration of content with a global network of scholarly exchange. We are a small, nimble team committed to innovating scholarly publishing. Although we’re headquartered in Washington DC, you’ll find us all over the world. Susan Skomal has served BioOne as president/CEO since 2005. Her role as ambassador for the organization’s nonprofit mission is now international, as sales have expanded worldwide and the publications themselves now originate in over 24 countries. Facilitator of the BioOne team, Susan is responsible for working with management and the board to position the organization for a sustainable future and encourage each individual’s active connection with the mission. Susan frequently speaks on BioOne’s history, evolving business models, and experiences. She also shares insights and best practices for serving the academic ecosystem of libraries, societies, publishers, researchers, and authors. Before joining BioOne, Susan directed the publications department of the American Anthropological Association, where she guided the program to the electronic future with the support of an Andrew W. Mellon Foundation grant. As editor of Anthropology News and press officer (1993-2000), she received grants from the Alfred P. Sloan to produce two annual series of topical articles. She also taught anthropology for the University of Maryland University College for 26 years, and worked in development at the National Academy of Engineering. A member of SSP, ALPSP, the Chinese American Librarian Association, Toastmasters, and the Capital Speakers Club, Susan also sits on the Project Muse Advisory Board. Susan earned a Ph.D. from UCLA. Trained as an anthropologist with specialties in archaeology and linguistics, she has a healthy respect for the dynamics of evolution—particularly helpful as the scholarly community undergoes its own transformations in the electronic environment. Lauren Kane joined BioOne in 2006 and currently serves as the organization’s COO. Lauren is responsible for publisher and partner relations, helping BioOne’s 150 participating societies, museums, and independent presses develop sustainable publishing strategies and maximize the impact of their publications. In addition, she oversees BioOne’s sales team, creating new financial and dissemination models that increase library collaboration and researcher access. Prior to joining BioOne, Lauren acquired and managed society journals in the humanities and social sciences at Blackwell Publishing. An active community participant, Lauren serves on the SSP Board of Directors and as co-chair of SSP’s 40th Anniversary Task Force. She also serves as co-chair of ALPSP’s Professional Development Committee and member of its North America Steering Group. Lauren speaks at industry events on topics such as publisher-library collaborations, sustainable publishing strategies for academic societies, and promoting leadership diversity. She is the author of “BioOne: Ten Years of Sustainable Publishing”, a history of the organization’s first decade of operations, and co-author of “From the podium to the boardroom: Encouraging gender parity in scholarly publishing”, a Learned Publishing opinion piece. Lauren holds a bachelor of arts from Georgetown University and a master of business administration from the University of New Hampshire. Nicole Colovos joined BioOne in 2010 and currently serves as the organization’s Senior Director of Marketing Communications. In this role, Nicole is responsible for the development of the BioOne brand, and communication activities that increase awareness and standing for the organization and the BioOne aggregation. Nicole oversees the BioOne technical team and website development to ensure it fulfills business needs, focuses on user experience, and adheres to industry standards. With over 20 years of experience, Nicole’s career includes a unique blend of design, technology, and strategic thinking. Prior to joining BioOne, Nicole served as vice president for strategic development at Bremmer & Goris Communications. There she helped professional service firms, membership organizations, and nonprofits create a brand strategy and communicate it effectively to internal and external audiences. Her expertise includes communication design, branding, and web development. Over the years she has participated in panel discussions and written papers on brand development and web strategy. Nicole graduated from Virginia Commonwealth University with a bachelor of fine arts in communication art and design, and a minor in photography. Michael Di Natale joined BioOne in 2017 as the Technology Project Manager, and currently serves as the organization’s Director of Technology. Mike is responsible for working with and managing BioOne’s technology partners, as well as providing internal technology support. Prior to joining BioOne, Mike designed tools for better editorial and production workflows as part of Aries Systems’ product management team. An active participant in the scholarly publishing community, Mike is a member of the SSP Marketing and Communications Committee and serves on SSP’s 40th Anniversary Task Force. He has also contributed to ISMTE’s EON newsletter and spoken about unique identifier standards at CSE’s annual meeting. Mike holds a bachelor of arts from the University of Massachusetts. Caroline joined BioOne in spring of 2017 as the Program Assistant. She serves as administrative support to the BioOne team, as well assisting on various projects with other staff members. Caroline graduated from the College of Wooster in 2016 with a B.A. in history and a minor in film studies. BioOne’s Board of Directors is comprised of librarians, university administrators, society leaders, publishing professionals, and foresighted individuals committed to improving access to scientific research. The Board of Directors supports BioOne staff’s strategic activities and monitors the direction and impact of the organization. Dr. Holsinger is a Professor of Ecology & Evolutionary Biology and Adjunct Professor of Statistics at the University of Connecticut, Storrs. His previous awards include the Chancellor’s Information Technology Award (2000), the Service Excellence Award from the Connecticut Chapter of the AAUP (2007), and the Faculty Award for Research Excellence – Sciences from the UConn Alumni Association (2007). He was elected a Fellow of the American Association for the Advancement of Science in 2003 and of the Connecticut Academy of Science and Engineering in 2010. In 2006, he received the Centennial Award from the Botanical Society of America and the Distinguished Alumni Award from the College of Idaho in 2008. Professor Holsinger is well known for his work in population genetics, plant evolutionary biology, and conservation biology. His most influential work involves the development and analysis of mathematical models that describe the evolution of plant mating systems and of statistical models used to analyze genetic variation within populations. His most recent work on mechanisms responsible for the extraordinary diversity of plants in southwestern South Africa has uncovered a complex interplay between adaptation to environmental gradients and the accumulation of random differences among geographically isolated population. This work involves students, post-doctoral research associates, faculty, and collaborators at the University of Connecticut, the University of California-Davis, the Australian National University, the University of Wageningen (Netherlands), the South African National Biodiversity Institute, and the South African Environmental Observation Network. Professor Holsinger is also a dedicated educator. He regularly teaches an undergraduate course in evolutionary biology and graduate courses in population genetics and conservation biology. For many years he taught in the introductory biology course for biology majors, and for nearly fifteen years, he co-taught a course in philosophy of science. He has supervised the work of nine Ph.D. students and one M.S. student, and served on the advisory committee of more than fifty students in seven departments and two colleges. 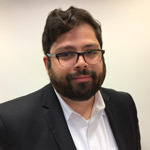 In addition, he has served as an external reviewer on Ph.D. dissertations at four universities in the U.S., three in Europe, and two in Australia, and he has served as the thesis advisor for four University of Connecticut Honors scholars and one University Scholar. Professor Holsinger has a long history of service to his department, the University, and the profession, including his service for a year and a half as an acting department head. He recently served as Chair of the Senate Executive Committee, stepping down when he took up his current position as Vice Provost for Graduate Education and Dean of the Graduate School. He has served as President of the American Genetics Association, the American Institute of Biological Sciences, and the Botanical Society of America. Since 2000, he has served as Chair of the Board of Directors of BioOne. He has served on grant and fellowship review panels for many federal agencies, and on the editorial board of eleven scientific journals. Joni Blake currently serves as the Executive Director of the Greater Western Library Alliance. The Alliance is a prominent partner and dynamic leader in the national and international scholarly arenas of learning and research. Blake received her MA in Library and Information Science from the University of Missouri-Columbia and her PhD Educational Leadership and Higher Education Administration at the University of Nebraska-Lincoln. In 2007, Blake joined BioOne’s Board of Directors. She has served on BioOne’s Audit Committee since 2008 and the Effectiveness Committee since 2011. Prior to her time at BioOne, Blake served as Director of Library and Information Services, Director of Institutional Research, and as the Interim Director of Information Technology at Stephens College. In 2004, Blake accepted a position as Stephens College’s Associate Vice President of Academic Affairs before moving to GWLA in 2007. As Executive Director of GWLA, Blake is responsible for leading a consortium of 32 research libraries located across 16 Midwestern and Western states. This consortium is dedicated to scholarly communication, interlibrary loan services, shared electronic resources, cooperative collection development, digital libraries, staff development, and continuing education. Blake has presented papers at the International Coalition of Library Consortia and at the Center for Research Libraries. She has also been active in the organization of successful conferences and workshops related to grants from IMLS, WESTPAS, LYRASIS, and WEST. Catherine Murray-Rust became Vice Provost for Learning Excellence at Georgia Tech in January 2012. She also serves as Dean of Libraries, a post she has held since August 2008. In addition to her administrative responsibility for several academic programs, 160 faculty and staff, almost 500 square feet of central campus space, and a library budget of about 14 million, she is teaching again this term in the Honors College and serving as the faculty advisor to the Leukemia and Lymphoma Society’s Team in Training. She is looking forward to getting to know students better as a group leader in the Oxford Study Abroad program in 2012. She previously served as the Dean of Libraries at Colorado State University, and Associate University Librarian at Oregon State University. She worked at Cornell University Libraries for more than 20 years in a variety of positions, including reference librarian, training and implementation librarian in the Systems Office, and Associate University Librarian. Her final position at Cornell was Director of Campus Delivery for the university’s project to reengineer business systems and install new software. From 1973 to 1977, she worked for Reuters News Agency and Oxfam/VOCAD in London. Murray-Rust’s educational background includes a charter in Librarianship from the Library Association of Great Britain (1976), a graduate degree in Library and Information Studies from the University of London (1974) and a bachelor’s degree in political science and history from Mount Holyoke College. She also completed graduate studies in international nutrition at Cornell University (1979), graduate coursework and independent study in African politics and international relations at the University of Dar es Salaam in Tanzania (1971-72) and participated in an internship with the United Nations Economic Commission for Africa in Addis Ababa, Ethiopia (1969). She currently serves as Georgia Tech’s representative to the Association of Research Libraries, is a board member of the Association of Southeastern Research Libraries and Georgia’s Galileo and RACL executive committees. She is treasurer of BioOne, a non-profit publishing initiative based in Washington DC. She has been a mentor both in the Library Administration and Management Association’s (LAMA) leadership initiative and the Association of Research Libraries diversity program. She was recently appointed to ARL’s Diversity and Leadership Development Committee. Jacqueline Cato represents the 21 universities in Ontario as the Information Resources Coordinator for the Ontario Council of University Libraries (OCUL) in Canada. 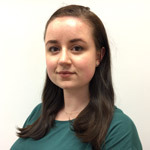 She has worked for OCUL as the Information Resources Assistant since graduating from Seneca College’s Library and Information Technician program in 2006 through 2017, then moved up to the IRC position in 2017 when she graduated from the iSchool (Faculty of Information) at the University of Toronto. She manages the lifecycles of OCUL’s 200+ electronic resources, plus she manages resources on behalf of multisector Canadian institutions via Consortia Canada. Jacqueline currently sits on Duke University Press’ Library Advisory Board, and has a deep interest in intersectional identities & libraries, and classification in libraries. Chain Bridge Group Managing Partner Raym Crow has over 25 years’ experience in academic publishing and library information services, specializing in strategic business planning, information service development, and market management. Crow has help publishers – large and small, nonprofit and commercial – plan and implement digital information services, extend the reach and revenue potential of existing products, and open new markets. His educational background includes a B.A. from Whittier College and an M.A. and a Ph.D. from the University of Pennsylvania. Dr. James V. Maher, Provost Emeritus, Distinguished Service Professor of Physics, and Senior Science Advisor, served as Provost and Senior Vice Chancellor of the University of Pittsburgh from July 1, 1994, to August 15, 2010; he has been a member of the faculty at the University of Pittsburgh for forty years. Dr. Maher earned his bachelor’s degree in physics from the University of Notre Dame in 1964. He earned his master’s and doctoral degrees from Yale University in 1965 and 1969, respectively. Prior to joining the University of Pittsburgh faculty as an assistant professor in September 1970, Dr. Maher served as a post-doctoral research associate in the Physics Division of the Argonne National Laboratory in Argonne, Illinois. During his tenure at the University of Pittsburgh, Dr. Maher has served as director of the University’s Scaife Nuclear Physics Laboratory, as a longstanding resident fellow in the University’s Center for the Philosophy of Science, and as a visiting scientist at the Niels Bohr Institute in Copenhagen, the Kernfysisch Versneller Instituut in Groningen, the College de France in Paris, and the Argonne National Laboratory in Chicago. Elected a fellow of both the American Physical Society and the American Association for the Advancement of Science, Dr. Maher has published numerous papers in refereed journals on the fields of nuclear physics (up through 1980) and statistical condensed matter physics (since 1980). He has presented numerous invited talks at topical conferences and physical society meetings. Dr. Maher is a member of the Board of Trustees’ Information Technology Committee at the University’s partner institution, the University of Pittsburgh Medical Center, and serves on numerous national and local professional society committees and boards, including St. Vincent Seminary’s Board of Regents, the Carnegie Science Center Board of Directors, and the Board of Directors of BioOne. He served as chair of the Council of Academic Affairs of the Association of Public and Land-grant Universities and was a member of the Association of American University’s (AAU) Intellectual Property Task Force that authored the formative 1999 report “Intellectual Property and New Media Technologies: A Framework for Policy Development at AAU Institutions.” He served on the AAU/National Association of State Universities and Land Grant Colleges (NASULGC) Task Force on Accreditation, which developed a set of principles adopted by the AAU and NASULGC and accepted in modified form by the Council on Higher Education Accreditation. He was invited by the AAU and Association of Research Libraries to participate in writing the influential Tempe Principles on Scholarly Communications, a set of principles designed to guide the transformation of the scholarly publishing system. Town Peterson is University Distinguished Professor in the Department of Ecology and Evolutionary Biology, and Curator in Ornithology in the Biodiversity Institute, at the University of Kansas. He is co-appointed in the following departments and programs: Global and International Studies, African and African American Studies, Latin American Studies, Department of Geography, and Environmental Studies, and has been an adjunct faculty member in the Universidad Nacional Autónoma de México for more than two decades. He also co-advises students based at the University of the Western Cape (Cape Town, South Africa), Cape Peninsula University of Technology (Cape Town, South Africa), and Isfahan University of Technology (Iran), among others. Peterson’s research extends broadly across questions of the geography of biodiversity. That is, he focuses on the question of why species and other elements of biodiversity are where they are, and why they are not where they are not. His approaches to this question range from quantitative geography and remote sensing analyses to molecular phylogenetics and phylogeography. His training is in systematic ornithology, but his work extends broadly across many taxa, including pathogens and questions of the geography of disease transmission. His research productivity can be seen athere. Peterson has also worked many years in the area of improving and opening access to scientific data and scholarly publications. Specifically, he led and co-led several initiatives in promoting and enabling access to data associated with museum specimens (see, e.g., vertnet.org). He co-led efforts to develop, pass, and implement a faculty open access policy at the University of Kansas, the first in the nation at a public university, and has dedicated years of effort to supporting the broader goal of opening access to KU scholarship. Most recently, he has dedicated considerable time and effort to development of the Biodiversity Informatics Training Curriculum (biodiversity-informatics-training.org), an effort to create open-access teaching materials for the field of biodiversity informatics via in-person training activities in cities across Africa, with all program activities captured digitally and served via YouTube. Arthur (Art) K. Reilly has led domestic and global efforts to bring the benefits of the Information Age to people around the world and improve lives by promoting human rights, science and development through the use of technology. He has been a global leader of initiatives to cooperate and collaborate among national and regional ICT activities to harmonize standards. Reilly is retired from Cisco Systems where he was Senior Director in Strategic Technology Policy. He served as Cisco’s principal representative to a variety of UN activities on technology policy matters, including the UN Commission onScience, Technology and Development, and the International Telecommunications Union. He has been a leader in improving interoperability and quality in networks through telecommunications standards for more than 20 years. Reilly has served as Chairman in the ANSI-accredited telecommunications networks standards committee sponsored by the Alliance for Telecommunications Industry Solutions (ATIS). As the business Vice Chair of the UN ICT Task Force, he provided leadership in promoting the achievement of the UN Millennium Declaration Goals through the use of information technology. Reilly chaired the US Council for International Business’s (USCIB) ICT Policy Committee, the U.S. affiliate of the International Chamber of Commerce (ICC). He was also a leader in the ICC and its Business Action to Support the Information Society (BASIS). In addition, Reilly served as member of the Strategy Council for the UN Global Alliance for ICT and Development. He was also a member of the Board of the US ITU Association. In 2006, Reilly was appointed to the National Science Board and served two-year terms as chair of its Committee on Strategy and Budget (2008 to 2010) and its Committee on Audit and Oversight (2010 to 2012). He has been a Board Member of the Public Interest Registry (PIR) since 2011. The PIR Board oversees management of more than 10 million .org domains. He is the PIR Treasurer and is the only American on this five-member board. He is also a member of the Advisory Council for the Mote Marine Laboratory. In 2013, he was appointed to serve on BioOne’s Board of Directors and chair BioOne’s Audit Committee. Alan H. Savitzky is Professor and Head of the Department of Biology at Utah State University. Prior to his current position, he served briefly as a Lecturer at Cornell University before joining the faculty of Old Dominion University, where he served for 29 years. Dr. Savitzky completed his undergraduate training at the University of Colorado and his graduate degrees at the University of Kansas, receiving a Smithsonian Predoctoral Fellowship to conduct his dissertation research at the National Museum of Natural History. Dr. Savitzky has served on several society boards, including three terms on the Board of the American Institute of Biological Sciences, and has served as President of the Society for the Study of Amphibians and Reptiles (SSAR) and the American Society of Ichthyologists and Herpetologists (ASIH). He is presently in his second term as Treasurer of the World Congress of Herpetology. Dr. Savitzky also served as a rotating program director in the Division of Biological Infrastructure at the National Science Foundation. Dr. Savitzky’s research concerns the integrative biology of amphibians and reptiles, especially snakes. His specific interests include the evolutionary morphology of feeding and defensive structures, evolutionary development of sensory organs and glands, and most recently the evolution of chemical defenses in snakes. Dr. Savitzky’s recent work has been focused on Asian snakes that sequester toxins from toads consumed as prey and later deploy those toxins for their own defense. That work has involved extensive collaborations with biologists and chemists in the U.S. and Japan. Dr. Savitzky also has been involved in various conservation issues and directed a 19-year ecological study of a state-endangered rattlesnake in Virginia before moving to Utah in 2011. Dr. Savitzky has advised 18 graduate students and three postdoctoral researchers, and he has taught courses in comparative vertebrate anatomy, herpetology, and conservation biology. He is a co-author, with five colleagues, of the textbook Herpetology. Eric S. Nagy is on the faculty in the Department of Biology at the University of Virginia, and is Associate Director of Mountain Lake Biological Station (MLBS). He has been at the University of Virginia since 1996. He received his Ph.D. in Population Biology from the University of California, Davis in 1995, and his B.A from Oberlin College in 1985. In addition to the administrative duties of directing a large residential biological field station, Dr. Nagy runs the 25-year-old NSF-funded Research Experiences for Undergraduates Site program, curates museum collections and databases, and directs an artist-in-residence program at MLBS. Dr. Nagy currently serves on the Board of Directors of two other professional societies – the American Institute of Biological Sciences (since 2006), and the Organization of Biological Field Stations (OBFS, since 2000). He was President of OBFS 2004-2006. Dr. Nagy was an active planner of the National Ecological Observatory Network (NEON) at regional and national levels and has participated in numerous local and national review and advisory boards. Dr. Nagy has been PI of an NSF REU-Sites program at Mountain Lake Biological Station since 1998. Nagy’s research focuses on the ecological, reproductive, and selective dynamics driving the evolution of natural plant hybrid populations. Mira Waller is the Department Head of Research Engagement in the North Carolina State University Libraries. She provides leadership and oversight for a department of subject specialists and liaison librarians that engages with faculty members, researchers, and students across the full lifecycle of research and scholarship, with a focus on innovative pedagogy, curriculum integrated instruction and research support and infrastructure. Waller came to the NCSU Libraries as Associate Head, Collections & Research Strategy, a role in which she shared management responsibility for the department and for the Libraries’ collections budget. She has been an active participant in the movement to re-envision the role of the subject liaison, both at NC State and nationally, contributing to the development of tools and training to enhance support for research. Before joining the NCSU Libraries, Waller was Director of Publishing Services for Project Euclid, an online community and platform for mathematics and statistics scholarship, managed jointly by Cornell University Library and Duke University Press. Previously she served as Assistant Director of Archives, at Duke University Medical Center Library & Archives. James F. Williams, II served as the Dean of Libraries at the University of Colorado at Boulder from 1988 to 2017. His career includes 13 years as a Medical Librarian and 32 years in research library administration. His research interests include health sciences librarianship, strategic planning, leadership in research libraries, and resource sharing and networking. He is currently a member of NASULCG’s Information Technology Board, Chair of the Board of Directors of the Center for Research Libraries, Chair of the Board of Directors of the Big-12 Plus Libraries Consortium, a member of the NIH PubMed Central National Advisory committee, a member of the Docutek.com Advisory Board, a past member of the Board of Directors of Educom and a past member of the Board of Directors of the Association of Research Libraries (ARL). Williams is a member of the Board of Visitors for Libraries at Massachusetts Institute of Technology, a member of the Visiting Committee at the School of Library and Information Science at the University of Pittsburgh. He has chaired the Association of College and Research Libraries (ACRL) K.G. Saur Award Committee and is currently a member of the Editorial Board of the Journal College and Research Libraries. He is a member of the Board of Boulder Community Hospital, the Boulder Chamber of Commerce, and a Trustee of the Denver Art Museum. He holds baccalaureate and graduate degrees from Morehouse College and Atlanta University. Publishers Communication Group (PCG) is the exclusive global sales representative for BioOne Complete. For subscription information contact your BioOne Complete Regional Sales Manager.